After two weeks of marathon negotiations, 195 countries approved an accord that would wean the world off fossil fuels this century, limiting global warming to 2ºC, with an aspirational target of 1.5ºC. It’s the first successful end to a global climate summit after two decades of failed negotiations. The final draft of the text that forms the backbone of the Paris accord was supposed to be completed Friday morning, but negotiations ran long in light of numerous disputes over the wording of key passages. Major sticking points included whether the world should limit its carbon emissions to prevent more than 2ºC of global warming—a widely recognized target—or whether a more ambitious goal of 1.5ºC of warming should be pursued. Developing nations and low-lying countries that are already feeling the impacts of climate change have made a strong push for the latter. The final text is a bit of a compromise: the resolution calls on the world to hold “the increase in the global average temperature to well below 2 °C” and to pursue “efforts to limit the temperature increase to 1.5 °C.” We should, however, bear in mind that the world has already hit 1ºC of warming, and based on the carbon reductions pledges countries have brought to the table, experts say we’ll be lucky if we hit the 2ºC warming target. 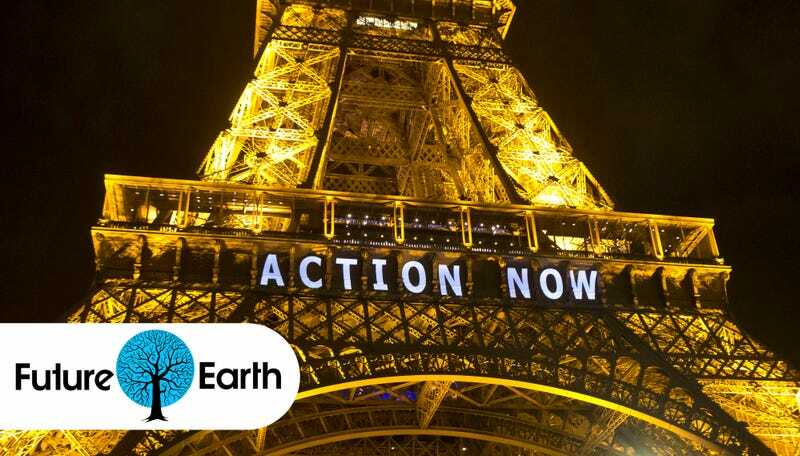 Another major point of contention in Paris has been financing. At the Copenhagen climate summit in 2009, it was decided that wealthy nations would shore up $100 billion a year by 2020 to help the developing world decarbonize quickly. Developing nations have insisted that specific language needs to be included in the final text to ensure that this pledge is met. Ultimately, the $100 billion figure appears only in the text’s preamble, not in any legally binding portions of the agreement. Each country has created its own carbon emissions reductions targets and deadlines. The final text legally requires all countries to report their progress every five years, with the goal of incrementally stepping up ambition across the board. Not everyone is 100% happy with the accord, but today’s unanimous vote of support is nonetheless historic, marking the very first time an agreement of this scope is legally binding for all nations. Now let’s see if the world acts on it.